When thinking about a new monitor there are many things you need to think about when making your decision on which model to buy. What will you be using the monitor for? What size screen do you need? Where will it be sited? What resolution do you need? What is your budget? And how much space do you have available? Of those questions the screen size and available space are somewhat interlinked. After all there is no point buying a large format display if you only have a small amount of space available. But, if you do have only a finite amount of space on your desk or in your home, you should consider a 19" monitor. A 19" screen is compact and will easily fit on most desks. But, though it is one of the smaller screen sizes, a 19" monitor is perfectly adequate for most tasks. And many businesses will use 19" screens though they aren't ideal for designers. But for home use this size of screen should be fine. And, just because the screen is smaller (though still much larger than laptop screens of course), doesn't mean that the quality of the display is compromised. 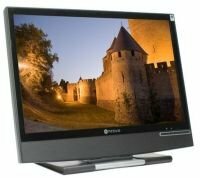 If you are considering a 19" monitor you will find some great screens on Ebuyer.com from leading manufacturers such as Acer and Asus as well as huge brand names like Samsung. 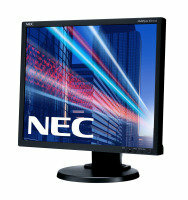 These monitors are available with different specifications including resolutions 1280 x 1024, 1366 x 768 or 1440 x 900 and response times from 3 milliseconds. Choose between standard desktop models and VESA compatible screens if you want to mount your screen on the wall.